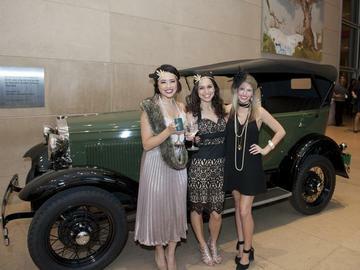 The DMA Speakeasy is back by popular demand! You are invited to the swankiest juice joint in town, featuring a costume contest, The Singapore Slingers Orchestra, and top DJs spinning tunes. Whet your whistle at even MORE bars, serving cocktails crafted by the city’s finest boozehounds. Enjoy novelty gaming tables, and go on a scavenger hunt throughout the DMA’s collection to Track Down the Bootleggers.